Over the past few decades, the role of religion and spirituality in health and mental health clients’ lives has caught the attention of a variety of helping professionals, including social workers. 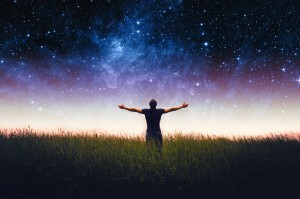 Research indicates that not only does the inclusion of religion and spirituality have the potential to enhance health and mental health outcomes, but clients prefer such integration in treatment. To this end, and considering that social workers constitute 45 percent of clinically trained helping professionals, it is important for the social work profession to clearly understand what supports or hinders practitioners from considering this sensitive area of clients’ lives. But how do social workers perceive the potential for integrating religion and spirituality perspectives in their practice? A recent issue of the journal Social Work, put out by NASW Press, publishes the findings of Holly K. Oxhandler, PhD, LMSW, and Traber D. Giardina, PhD, MSW, MA, regarding this topic. The article describes the qualitative responses from a national sample of licensed clinical social workers on their views regarding integrating clients’ religion and spirituality in practice. The researchers asked two open-ended questions to assess what helps or assists LCSWs in assessing and integrating clients’ religion and spirituality in practice and what hinders or prevents LCSWs from considering this area of clients’ lives. Considering that few social workers have received training on integrating clients’ religion and spirituality in practice and that clients are expressing a preference for such attention and integration of their beliefs, and for the practitioner to initiate the conversation, it is critical for the profession to consider sources of support and hindrance to attending to this area of clients’ lives. Two open-ended questions served as the guiding research questions for the study: (1) What (if anything) has helped or supported you to assess and/or integrate your clients’ religious/spiritual beliefs in your clinical practice? and (2) What (if anything) has hindered or prevented you from assessing and/or integrating your clients’ religious/spiritual beliefs in your clinical practice? From these questions, the researchers found some interesting results. A total of 329 LCSWs participated in the open-ended section of the survey, with 319 responses to the first open-ended question and 279 responses to the second. The overarching themes that emerged when respondents were asked what helps LCSWs assess or integrate clients’ religion and spirituality in practice included personal religiosity, educational experience, and having a religion- and spirituality-sensitive practice. When asked what prevents LCSWs from assessing and integrating clients’ religion and spirituality, more than half of the respondents discussed one or more factors. Eighty-five respondents indicated that they experienced no barriers, and 15 indicated that this question was not relevant. With regards to personal religiosity, sixty-six respondents discussed how their personal religious and spiritual journey has helped or supported them in integrating their clients’ religion and spirituality into practice. Respondents explained how their personal religious and spiritual journey brought them comfort with and understanding of the importance of religion and spirituality in the lives of their clients. Although there is overlap between respondents’ religious and spiritual journey and belief system, some spoke directly to how their personal belief system affects integrating clients’ religion and spirituality. Thirty-seven respondents specifically indicated religious and spiritual practices that make them aware of others’ engagement in these practices. Examples include prayer, meditation, mindfulness, and the practice of yoga. Also, five percent of the respondents indicated that curiosity or interest in religion and spirituality helped them integrate their clients’ religion and spirituality. One in four respondents received some type of training through informational education, social work training, or religion and spirituality training and education. Informational education includes workshops, self-directed readings, discussions and consultations with colleagues, and reference materials. Only 9.1 percent of the respondents indicated social work training in religion and spirituality either through their social work education curriculum, direct mentorship or supervision, continuing education, or targeted practice certifications. Finally, 8.2 percent of respondents have received some type of religion and spirituality training and education, either formal or informal. This includes course work in theology or philosophy, self-directed readings, and denominational religious training. Most respondents indicated that having a religion- and spirituality-sensitive practice or environment is helpful. The most common reported practice was using a person-centered approach, in which the practitioner meets the client where he or she is at, considers religion and spirituality as part of holistic care, and integrates client’s religion and spirituality if it is an important area of the client’s life. A total of 279 practitioners responded to the question about what prevented them from assessing or integrating religion and spirituality into clinical practice. Of those, about one-third indicated that nothing prevents them from accessing or integrating religion and spirituality into practice, 12.9 percent wait for the client to initiate the discussion, and 5.4 percent indicated that this question was not relevant. More than half discussed one or more factors that hinder religion and spirituality assessment or integration in practice. Lack of training, fear of bringing up a “taboo” topic with clients, or clients indicating disinterest in religion and spirituality were the most commonly cited hindering factors. Among the 329 who responded to either or both questions, assessing what helps and hinders such integration, 64 practitioners (19.5 percent) indicated that they wait for clients to bring up the subject of religion and spirituality. It is interesting to note that these practitioners also indicated that they are open to incorporating religion and spirituality if the clients indicated interest. This study provided the first national, qualitative assessment of what helps and hinders clinical social work practitioners’ assessing or integrating clients’ religion and spirituality in health and mental health treatment, with about 300 responses to each question. LCSWs reported personal religiosity, education, and having a religion- and spirituality-sensitive practice as supportive factors for integrating clients’ religion and spirituality in practice. When asked about hindering factors, LCSWs indicated that nothing hindered such integration; that the question was not relevant; or listed various factors related to their own practice or training, the client, and external factors. The researchers call for future studies to examine responses from LCSWs in other practice settings, social work educators, and students. They see that assessing what helps or hinders related helping professions considering this area of clients’ lives may also help the social work profession identify creative ways to bridge this gap.